Welcome to India’s premier executive staffing agency : Alliance Recruitment Agency. Our years of dedicated service to clients in India and Middle East have helped us gain the tag of “most trusted manpower staffing” company for many top notch companies. 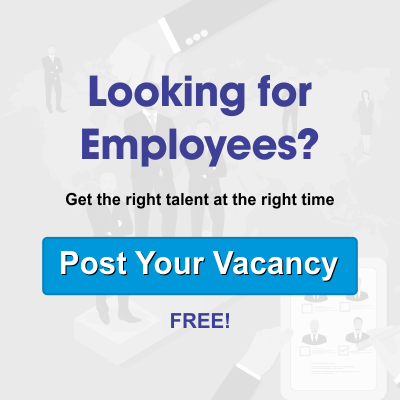 Our large talent pool and unique customer centric talent hunt process gives us an edge over other executive staffing companies. Our industry experts understand employer requirements accurately and provide one to one discussion with the most deserving candidates. We are a trusted executive staffing consultant firm and have been helping companies in different industry verticals fill in their requirements through us. We undertake executive search (or headhunting) task on behalf of our clients to recruit directors, general managers, and other top executive level positions. We screen and shortlist best candidates working with competitors or in closely related industries. We then investigate which candidate is willing to switch within the approved budget of the new employer. We follow a systematic approach to identify and select qualified senior-level executives or professionals. Our recruitment experts are specialized in their core areas and hunt top level executives with desired skill sets. Our senior consultants take telephonic/F2F interview with candidates. We send detailed assessment sheet to candidates and conduct IQ & EQ test of each candidate. Turnkey recruitment addresses the needs in middle and senior management levels. It is best suited for start-ups, new project planning, plant expansion, and scaling up or geographical expansion of teams. This type of recruitment applies to clients looking for suitable candidates from particular industrial sectors only. We provide matching talent according to the job specification. Why you should partner with Alliance Recruitment agency? We exercise a professional matching process to identify and present the right candidate with relevant skill sets and industry background to fit into your job role. Our headhunters start working on your requirement, the moment you give them the same. We believe in fast processing of your requirement and provide you candidates in shortest possible time. Our fees is quite competitive with respect to our competitors in the industry. Our main aim is to help you close your crucial requirements to your satisfaction. A recruiter’s best asset is a wide network of business contacts that includes prospects, clients and hires. We believe in relation building by strengthening our existing relationships with regular communication and try to add in new relationships. Our recruiters check back with hires after they have been placed and make sure to ask for referrals to grow their network. We adapt our headhunting methodology to meet your firm’s unique business requirements. Our tried and tested protocol utilizes an extensive database of executive candidates, industry and market knowledge, and fast accurate responses.